Frank Martin is coming to the small screen! Cinemax has released the first trailer for Transporter, the network's upcoming 12-episode action series based on The Transporter movies starring Jason Statham. 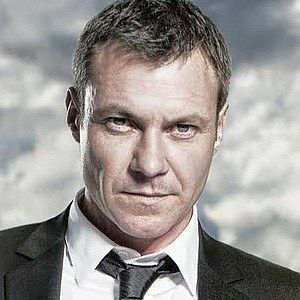 This time out, Chris Vance stars as Frank Martin, the mysterious transporting specialist who lives his life by a certain code of ethics, while dealing with dangerous criminal elements. Watch as Mr. Martin gets down to business in this first-look footage also starring Andrea Osvárt, Rachel Skarsten, and J.P. Manoux. Cinemax still hasn't announced a Season 1 premiere date at this time. Stay tuned to find out when you can check out this hot new show.